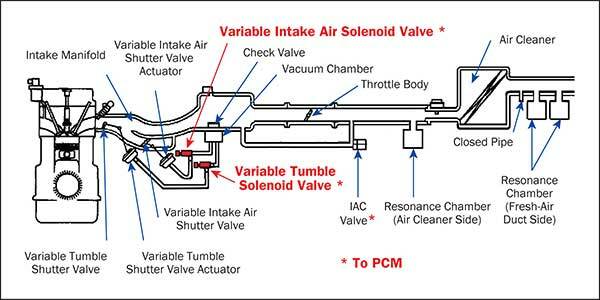 What technicians need to know when diagnosing and testing electric valve solenoids fitted to various operating systems on vehicles. Multiple operating systems on the modern motor vehicle utilise ECU operated electric valve solenoids to control vacuum and pressure paths that operate the various system actuators for engine emissions, power control and 4-wheel drive control. Later vehicle systems also utilise coolant switch valves to control the coolant flow in side flow cooling circuits and in the heating circuits of passenger compartments as well as hybrid and electric vehicles for battery cooling control. 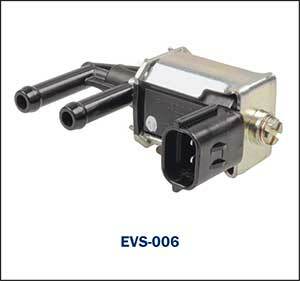 This control solenoid valve (when energised by the ECU) allows vacuum to open the EGR valve as required. When de-energised, the vacuum is blocked at the solenoid valve and the EGR actuator vacuum is released. This allows for ECU total control of the EGR system. 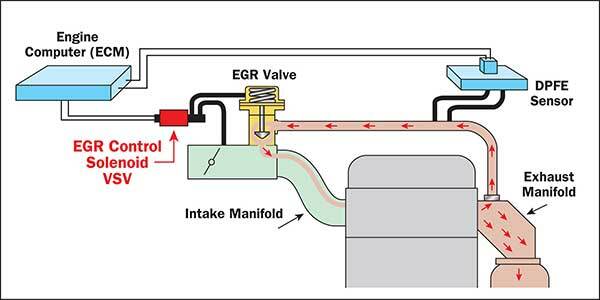 A simple EGR system generally requires a control solenoid with two ports. Other more complex EGR systems may utilise a solenoid valve with more ports. Vacuum pipes must be connected correctly to ensure suitable EGR operation. The boost control solenoid valve generally has 3 ports. (4 port units also used). One of the 3 ports (called the common port) is always alternately connected to either one of the other 2 ports during energised and de-energised condition. One of the other three ports is normally closed when de-energised. The other port is normally open when de-energised. This information is crucial for diagnosis and testing of the system. Many petrol and Diesel systems may utilise intake flaps and tumble valves to control (restrict and direct) the intake air during low engine speeds. The vacuum type actuators utilise a vacuum solenoid valve controlled by the ECU for correct system operation. Note: there are (non-vacuum) direct electrical actuators used that are operated directly by the ECU. These do not require VSV units. Many petrol engines also utilise a dual intake manifold system to improve engine torque through the whole operating RPM range. The vacuum operated system is generally controlled through a separate ECU operated vacuum solenoid valve. 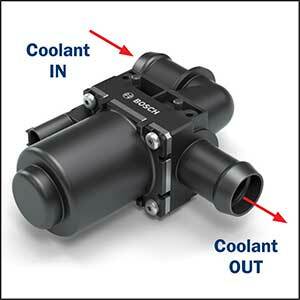 Other - Coolant flow control. (systems with aux electric water flow systems). The control solenoids are utilised on many automotive systems so an understanding on the suspect system is required to successfully carry out a diagnosis that is time efficient. It is of course important that all vacuum hose conditions are checked for leakages and electrical connections are suitable prior to carrying out any detailed system tests. EVS units stuck in the open condition when activated or de-activated. EVS units stuck in the closed condition when activated or de-activated. Note: The open or closed conditions may be due to electrical faults or unit internally jammed. It is important to ensure the actuator and related system mechanism is functioning correctly to prevent misdiagnosis. The Premier Auto Trade Emission range includes more than 40 Electric Valve Solenoids (EVS) from the world’s leading manufacturers, covering over 2.7 million vehicle applications in Australia and NZ.